Russian Foreign Ministry spokeswoman Maria Zakharova, said the US-backed jihadists in Syria are preparing to stage a new chemical attack in order to justify the US strikes against Syria. 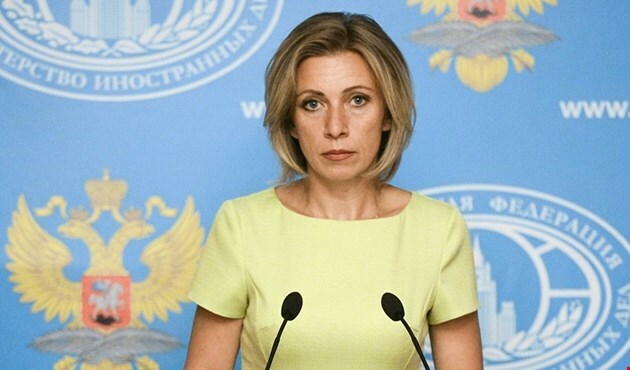 “Latest provocations aim to prepare the ground for accusing the Syrian government of using chemical weapons”, Zakharova was heard saying during a press conference on Thursday. She also said Moscow was very satisfied with progress, made at the recent round of Astana negotiations on settlement of the Syrian crisis, and which ended yesterday. “Apart from significantly improving the situation on the ground, namely by implementing a cease-fire agreement and establishing humanitarian corridors and de-escalation zones, a thing that allowed for a return of a great number of refugees and displaced persons, the progress made in Astana will also positively affect the forthcoming Syrian negotiations in Geneva under the auspices of the United Nations” said Zakharova, adding that Moscow counts on all reasonable factions within Syrian opposition to commit themselves to dialogue with the government of Syria and solving all matters in a peaceful way. In a related context, the Russian Foreign Ministry spokeswoman also said ISIS terrorists are transporting materials, workshops, equipment and mechanisms, used for production of chemical weapons, out of Raqqah and en route to its controlled areas in the eastern Syrian province of Deir Ez Zour, noting that these sudden transfers out of Raqqah coincide with the intent of the US-led “anti-ISIS” coalition to establish a new military base for the jihadist group Revolutionary Commando Army in Shaddadi area of the northwestern Syrian province of Hasakeh, with the purpose of sacking the Syrian Army-controlled areas in the bordering province of Deir Ez Zour. The head of the Russian delegation to Astana talks on settlement of the Syrian crisis, Alexander Lavrentiev, said the talks greatly contributed towards the general decline of violence in Syria, especially after 4 major de-escalation zones were set up, and although the things are still far from completion, they are developing in right direction. For his part, the head of the Syrian delegation to Astana , dr. Bashar Al Jaafari, said that Syrian government holds confidence in walking the path of Astana talks, adding that the Syrian side will also separately address the issue of the illegal Turkish incursions in Syria.